Could red brick dust be incorporated into this kind of work? I would go for binding him with a mirror box. A freezer spell is another one. And I would look into jinx killer as well to kill any tricks around your home. I like the idea of the mirror box. It seems like a tidy way to sort somebody out without having to do a lot of negative work on them yourself. Do I remember correctly that Devil's Shoestrings can be buried to protect a place from having tricks laid down there? Put up a small mirror or have some of them placed on the ground in a visible spot in addition to the work mentioned above. Make extra sure they are clearly visible. A few sticks with some glued mirrors stuck into the lawn will suffice. You can put some Reversal Oil on them and make sure your tear of the label from the bottle, place those labels on the sticks and put them into your lawn facing outwards. They will not only protect you but, If your enemy knows his/her stuff, it will certainly discourage them from further activity on your grounds. This does not neccesarily mean they will not try other things, so make sure to stack up on cleansings baths and FWoP products. Thank you all for the ideas. I will definitely look into them. I have another more serious and urgent need. This person is a reader. He has conjured up a dead spirit that I believe is in my body. I have a blowing in my right ear, feels like an airconditioner. My urine has a strange smell. My feet and hands are always ice cold. It feels like it is tearing my body down. Is there any way to get rid of him? Help! I have a pall of dead spirits attacking my body. An evil reader have done this to me to try and get money from me. I stopped all business with him. There is no other reason but money. What can I do or use to get these spirits off me, before i go down to nothing? He is attacking my body and my finances. My health is deteriating fast. Please help me to get these dead spirits off of me. He wants me to beg him to call them off. I refuse. What can I do? Any suggestions? In the meantime, I recommend an Uncrossing kit, followed by Fiery Wall of Protection. 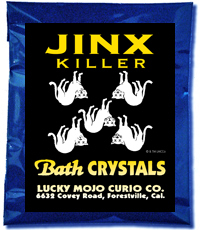 I want you to bathe in Jinx Killer bath crystals and wash your home with Chinese Wash to take this off you, if only on a temporary basis, but ultimately you will need a reader to help you break the work, get his spirits trapped and disposed of, and protect you from all future attacks. How do I get someone to apply for me to the pro bono fund? I am in desperate me. Please help me. I am trying to be stong, but i'm losing ground. Here is the link dtmacon1. Take Care and God Bless You. dtmacon1: Here is the link for you. Thank you for all of your help. I did have a reading with ConjureMan Ali, and it helped alot. He inform me to take the 13 Herb bath for 13 days, followed by 7 days of van van and follow up with washing my house with the chinese bath. All of this was working well. It statred over because the reader will not give up. He keeps attacking me one after the other. I'm waiting for my 13 herb bath, but it hasn't come yet. I'm scared and don't no what to do? I would order the jinx killer crystal, but I'm told they take 6 to 8 weeks to come. Don't know what to do. I'm also having a hard time trying to find out how much the work to be done cost. Dear Cat: Can you tell me how much that work will cost? I need it ASAP, Thanks. Hi Mary: I've a reading and was told that this reader has a pall of dead spirits on my like. I've started seeing a dr. for the different problems. They are comiing up so fast, I can't keep up with them and I can't seem to get anyone to work out a price to have this taken care of. Thanks for your help. My strength is leaving me..
Can you lead me in the right direction, regarding the Pro-Bono fund? Please help me if you can. Thank you and sorry to be a bother. Perhaps you can go through the pro bono fund. The mirror spell you talked about. If I don't have a picture, but a name and date of birth, is that alright to use? Do I need anything else. Thank you for all of your help. Thank you for your reply. I will read it and follow the directions. Also You have truly been a blessing. I stumbed on your site, I'm not going to say by accident, because God showed me the way. I truly believe this. My words "Thank You" goes further than you think. All I can do is cry tears of joy. Thank you. You are very welcome. I believe you can overcome this situation. Have faith, and remember, when you are free of it, you will have the time and sense of purpose to get on with your life and explore new and better realms of possibility. As an adult I was recently legally adopted. About 2 months ago, I had to flee for my life from this situation. Now, the woman is an older woman who I met at a church. She asked me to come live with her under the premise that no one could "hurt" me now (she had took me from a Battered Woman Shelter where I was the only one of my color). This older woman's best friend is the Assistant District Attorney of the entire area. On the way to this legal adoption/name change, she hit me with my having to come up with fees to pay her attorney friend (although she boasts about being independently wealthy). I had to drum up some money I was saving up to get my own place, to now suddenly pay fees for this adoption because they made me believe that my name change I sought would best give me the protection I needed from the prior abusive situation only if I did it as a 'closed adoption WITH legal name change' even though I ONLY wanted the name change part. Please help me. I recently had to escape for my life from this living situation when she became severely abusive, forcing me to be intimate with her in some very uncomfortable and controlling and manipulative ways, holding her abuse over my head. She even would brag about the adoption, "so everyone will know you are mine now". When I left, cops trailed me the closer I got to my destination, where a Priest had told me I had to come up here (closer to where he is) telling me "there is only so much me and my spirits will do for you down there. I have all these contacts and resources here..."
When I got here though, that story had changed so I now don't have any kind of assistance even though I tried to apply anyway, mainly because of timing and the practicality of things. Why on earth would anyone want to adopt an adult? This felt creepy to me after the first sentence. I hope someone can help you. This sounds more like a cult than "a church" and earlier you mentioned a "powerful witch" and a "Priest" and an "Asogwe" and a "police officer" and the Assistant District Attorney" as part of what seems to be a cult. You are obviously educated enough to write well, spell words correctly, and so forth. You are away from them now. Keep moving away. Start applying for jobs, dear! Life is not meant to be a scary drama. Take a breath, decide what you want to do, and do it. You say you need "assistance," but "assistance" so often comes with strings, and those strings limit your freedom and your self-will. There is no royal road to being cared for. Stand up and take charge of your own life. We can support you through prayer, and i will certainly pray for your safety, well-being, and personal strength. What I would define as "assistance" more closely is related to the fact that I cannot, for obvious reasons, just go up to a police officer and/or any regular attorney. I was wondering, more specifically, if there are any LM conjurers who have knowledge of the legal intricacies of the complexities of my situation, as it is more complex than what I can describe here. I suppose I'm not exactly sure how to phrase what I need/am asking for. But my situation is a lot of stuff because of the spiritual things thrown at me. I'm not even sure what I can do spiritually because there is not exactly just one thing, but a lot of back to back stuff. And like I read and was told by folks that the mind and the body and the spirit all are interworking together so like just like somebody can mess up something with a person spiritually and it affects all the other areas, I suppose vice versa and such. I'm still learning all this rather fast. Thank you for the prayers for strength. I pray but sometimes I feel may be somebody done found a way to block my prayers too. So, PLEASE, please, also can you pray for me that I can be directed to the proper authorities and for help with clarifying what I need to say without further endangering myself? I am very shy by nature and so I kinda have the tendency to speak it "all at one time" when I try to explain stuff...not to mention that where I come from, most of the folks talk fast...which I was told when I moved away from my home state, that doing that doesn't set well with folks because they cannot understand. They say it seem 'flighty' or whatever. I hope all this sounds okay. For prayer support, you can put up a free prayer request at the Crystal Silence League. The members will read your request and pray for you. This can be an incredible augmentation for any other work that's being done. drjumba wrote: Hello sorry for all that but firstly what have you done to this person who ever he is innitialy to reach at all this point? secondly do you all stay in the same town? have tried to seek help from proffesionals? I did not do anything "to" this person but find him online. He is a Priest Asogwe with a lot of evident pull and power. I'll just have to put it this way: it is like a shy,new kid at grade school with an impairment of some kind getting sought out, setup and bullied by the biggest kid there who has been held back for a few years enough to have bullied himself some allies. Again, there is nothing I did TO this dude. He just is young with a lot of power. It is a lot more complicated than to just seek help from professionals, authorities...et cetera, and yes, I have tried, but in a very dangerous, complex situation such as this one, it is not that easy. What could I tell them anyway...that a powerful Priest Asogwe set up some things and legally entrapped me using his big bad powerful spirit allies? I really don't think that would set that well with any authority or professional. As there are still folks in this day and age who don't understand and cannot understand the spiritual world of things (me included but not in a close minded way), it is not like for example, I can just send this dude to court or get a protection order against him or anything like that. I don't stay in the same town but a lot closer like within 7 minutes by bus. He is in the next state over. And even there, authorities will only do so much. first of all, the authorities for the most part do not understand spiritual work this way and the power of it. secondly, although some stuff is federal, the feds will only work so far before just referring you back to local and state level anyway and will not touch spiritual stuff at all because they feel it is crazy talk. I think by "LM conjurers" you must mean members of AIRR, The Association of Independent Readers and Rootworkers. AIRR is not sponsored by LMCCo in any way, but rather by Missionary Independent Spiritual Church. The word "Independent" means just that -- each member is indpendent and able to work with clients on his or her own, without going through any sort of clearing house. And, finally, i've been kinda meditating on your story all evening and this one song keeps on ringing in my heart for you. It's not a gospel song, but rather an R&B song, but the singer had sung in church, and you can hear it in his voice. His name was Gene Allison. The song is called "You Can Make It If You Try" -- and you can listen to it here. "You Can Make It If You Try" was a song of my youth, and it came out when i was in gade school, but it stuck with me and taught me, oh so much. This song gave me a lot of strength when i was weak and afraid, trying to raise my daughter in a cabin all alone in the woods with no man and no money and very little in the way of food to put on the plates. "You Can Make It If You Try." I recently discovered that two enemies and was wondering if I use Fiery of Wall Protection kit, should I put both enemies names on the same black candle or should I use two black candles for each enemy's name? Would a Triple Strength Fiery of Wall of Protection Mojo bag be ok to use instead of the kit? You can put both of their names on the same black candle. But I like to do it on two separate candles so I can get a better candle divination for each. And the mojo bag over the spell kit is a matter of preference. You can definitely use that as opposed to the spell kit. Also, for these enemies you may want to put them in a mirror box, and/or freeze them so that they cannot continuously affect you. And make sure you do some uncrossing work to get off the negativity they have sent you way. Hi everyone. I have a question I need advice on. I had work done on behalf. Part of it went well, the trapping of the dead spirits. This person's hands were to be tied, but for som reason, I guess they get untied and he keeps throwing things way trying to kill me. I just had a nasty taste coming up to my mouth. He does something everyday. At first I saw his actions going very slowly, but now I feel his presence, like he is watching me everey day. Is there something I need to do, or can do? How does these things Work ? Does it take the work time to fully go over? How does tying of the hands work? Am I supposed to still fell these things? Please advise. Thank you. If you're steadily catching Hell from the same person, consider putting them in a mirror box. You should also visit the Crystal Silence League. Post a prayer request for protection and aid. Okay thank you. Will do. Does anyone know how to get rid of spirit attachments and the spiritual curses? After a month of job obstacles, I hired a shaman on May 9, 2012 to check my energies to see if I am cursed since I have been super sensitive. She pulled out a spirit that was attached to my pelvis...1 of my ancesters and removed an ancestral curse that one of them put on me. The question is, how to protect myself from spiritual attachments again and how to protect from spiritual curses? I had one of the AIRR rootworkers do 2 mirror jars on my parents to stop the psychic attacks. After May 9, 2012, I noticed major obstacles with my Pre-paid visa card even if I am not using PayPal, I cannot checkout to buy any products at all online. I believe my ancesters are interfering with my living life again. Please help me find a solution. I want them to leave me alone. Thank you. Have you thought about setting up an ancestral altar to your good ancestors? Not all your ancestors could have been out to get you; did you have a grandma, or great uncle or someone who loved you and would be protective of you? If so, I would work on strengthening the relationship between your *good* and peaceful ancestors to get them to protect you, and to intercede on your behalf with the ancestors who are causing you trouble. They can also protect you from any evil your parents are sending you. All you need is a little space (like the top of a dresser or shelf), a glass of water and a white candle. If you have any pictures of your ancestors who loved you, put them on that space. Put out the glass of water and light the white candle, and pray for them. Talk to them from the heart. Tell them what's going on with you. Dedicate some weekly time (the same day each week) to spend with them, giving candles, water and prayers. Some people give flowers, perfumes, or other things. Listen to your heart and intuition and you may be given ideas of what to give. On another level, have you cleansed and protected your house? You may want to get some Van Van Bath crystals and dissolve them in some water, and wash your house down from back to front, praying that any evil will be banished. Then follow up by washing the house from front to back with Fiery Wall of Protection bath crystals. Newbie2012, I saw your prayer request at the Crystal Silence League -- otherwise I would certainly have recommended them, on top of MaryBee's excellent advice. I actually don't know any of my ancesters. I heard their voices in my dreams and I can tell you they are all old fashion and judgemental being the typical old chinese people. I admit there are cultural differences. I came to USA at around 8 years old. I didn't hear or see anything till I was in college in my late 20's. Truefully, I didn't want to spend that much money to have a rootworker from AIRR to make mirror products. But for over 4 weeks, I kept hit with job obstacles. I checked with my co-workers and they are working consistantly but I am not. Then 2 days before my appointment with my shaman, my whole body was inflamed for 2 days. It felt alot more than a regular psychic attack. After having that ancestral curse removed, I finally ordered 2 mirror products to be made and bury from a rootworker to stop my parents' psychic attacks. Not sure how permanent it is. I do have a feeling there are consequences and my rootworker will be going on vacation for the month of June. If something happen by that time, I know I am damned. About the witch's bottle, I thought it is used to protect against witchcraft and hag-riding whatever that means. I live in an apartment. Do I wrap it around bubble wraps and put it inside my dresser? Is using my own urine a must? I saw a few youtube videos on witch bottles, but I think there is alot more than putting shattered mirrors and rusty nails. I called LM few days ago and left a message for Ms. Cat to respond about her custom made protection amulet that my rootworker recommend. The staff said she charge $60. I hope it is discreet and small enough that I can wear at work or put into my wallet. Ms. Cat please let me know about the amulet. And do you make super go-lucky amulet too? I will get the Van Van and FWP bath crystals. Thank you all for your response. Newbie, what a sad story! newbie2012 wrote: About the witch's bottle, I thought it is used to protect against witchcraft and hag-riding whatever that means. Yes, and isn't that exactly what is happening to you? I live in an apartment. Do I wrap it around bubble wraps and put it inside my dresser? Put it in your window or beside your door -- near the entrance to your house. Is using my own urine a must? Not absolutely, though it's very traditional and effective. You could use your hair instead. a snare -- knotted tangly substances such as knotted string, Spanish Moss, and tiny seeds (classically poppy and black mustard). The seeds aren't so much a snare as a distraction -- in many folk traditions, when witches encounter lots of little tiny objects, they have to stop and count them. They're sort of obsessive-compulsive that way, apparently. I saw a few youtube videos on witch bottles, but I think there is alot more than putting shattered mirrors and rusty nails. There are many variations on spirit traps, and I'm sure a search of this forum as well as the internet will give you some good ideas for building yours. You can do some good, effective work, though, with the few elements we have named here. Newbie, thanks for posting your design! I do have some suggestions. This is good solid work -- you could actually stop right here and get the job done. Why? Unless you plan to keep it on a windowsill and want to weight it down -- a couple of "random rocks" might be useful for that physical purpose. I see where you're going with this. Rosemary is used for protection in particular ways, but this isn't one of them. It's used specifically to improve homelife and protect women. If you're being attacked because you're a woman, or your relationships in your own home are targeted, this might make sense -- but it also brings peace to the home; see my comment on myrrh, below. Frankincense to intensify the work and "to summon a spirit" -- but you've already got your personal concerns to do that. I'd leave that out. Your own personal concerns are sufficient bait. Myrrh to protect and bring peace: I would not include any "peaceful" elements in a spirit trap. No. These are good and friendly herbs. Use them on yourself. These are traditionally used on yourself or in your house; these are well-trained bodyguards, not thugs. Maybe. Especially with agrimony, a traditional and effective combination. Why? Unless you mean pennyroyal, a good choice. Sea salt has many uses, so you'll have to be sure you remember to tell it what to do! More often done in influence-type spells. I think you may be losing track of your purpose here. Thank you so much Ms. Michele. You have such great info. With the gods and goddess and the angels working through me using the elements of Earth, Wind, Water and Fire to create this witch's bottle to protect me and my home. These rusty nails, pins and needles are my swords of protection to repel anyone who wants to harm me. These broken mirrors to reflect harm back to the sender that is aim at me. These knotted strings, poppy seeds, and mustard seeds to cause confusion and traps evil spirits. My hair, urine, and menstruational blood to link this bottle to me to draw any evil spirits, any negativity and trap it. No one can harm me not even my living bloodline nor my deceitful ancesters. Only positive magic, positive energies and positivities can enter my life and home. This sea salt for cleansing and purification. May this bottle be invisible to everyone but me. Let this magic continues so mote it be. Then I recite the psalms over and over again and visualize surrounding my apartment and I with light and mirrors and visualize the bottle like a glowing vaccum for spirits to enter. Oh if anyone like to know how to make rusty nails. Use Hydrogen Peroxide and lots of sea salt. It is cheap and works immediately. Thank you so much. I can't wait for Ms. Cat to get back to me about her powerful custom made discreet amulet. newbie2012 wrote: Thank you so much Ms. Michele. You have such great info. Just so you know, the Four Elements don't get much play in hoodoo, which is a Christian (mostly Protestant) tradition. Most people who grew up with it pray to God and Jesus. My hair, urine, and menstruational blood to link this bottle to me to draw any evil spirits, any negativity and trap it. No one can harm me not even my living bloodline nor my deceitful ancesters. These things are living entities -- this is an animist tradition! Speak to these tools directly and tell them what to do. To the nails, pins and needles, you might say, "Be my swords of protection! Stab my enemies all over -- let them bleed out!" To the mirror shards, "Cut them to pieces and send all their meanness straight back to them!" Only positive magic, positive energies and positivities can enter my life and home. Once again, you are adding a peaceful, friendly element to a spell designed to punish and entrap. I wouldn't bother -- it's too good for them! Save it for yourself It's you who needs cleansing once this work has been set up, not your enemies. The last step before you close the bottle should be to breathe into it, telling whatever unfriendly spirits are clinging to you to "follow that breath and oh look there's Newbie2012 right there in the bottom of that bottle! Here's your new home!" Then cork it up quick. May this bottle be invisible to everyone but me. There many ways to pray and to use the Psalms, but many people find one Psalm, recited or read aloud with feeling, is enough. You can certainly use more than one, if it feels right. You could even recite them, or phrases from them, as you put the bottle together. and visualize surrounding my apartment and I with light and mirrors and visualize the bottle like a glowing vaccum for spirits to enter. I don't go in for visualization much, but this sounds very nice. You could also consider paying them regularily with Hell Money to stay off your back instead of fighting a war. Family tends to stick around and once you die it might be nice to have good relations with the ancestors. Mary Bees suggestion might both be helpful and save both time and effort in a fight you do not seem fit to fight right now. LM also sells a nice Ghost Purging incense that might come in handy, particularily for your ancestors. Thank you newbie2012, MaryBee, Miss Michaele, and Dr Johannes for the great info in this post! Especially good follow-up on the recent Spirit Trap workshop given by ConjureMan Ali. newbie2012:Though Miss Michaele has covered really well what to put and not put into your Spirit Trap, you may also find the workshop book useful. It is a great supplement to HHRM and HITAP. And ConjureMan Ali's workshop notes should soon be available bound up with all the workshop handouts from 2012. Thank you for all your suggestions. I actually did a witch bottle in a hurry to get rid of them on my heaviest period day, took 2 pads worth of menstruation blood. Well, I did put it near my front door at first. But the candle I was burning was emitting alot of negative energies. I know because I am energetically sensitive and a huge difference when I came back from McDonald's. I opened my bathroom door and the energies were disturbing. So I moved my witch bottle and put it in the bathroom. I came back to check on the bathroom's energies 1 hour later and the negative energies were 90% gone. My guess is, it either capture something, or my ancesters recognized it and ran away in a hurry like a coward and this is not the first time they ran. Last year, my 3rd eye and crown chakra was inflamed and so I decided to google Exorcism on the internet. And I sweared the feelings of inflammation disappeared. Then when I was in a bus and looking for info of Exorcism with my blackberry phone when I was inflamed, the inflammation feeling disappeared again. I know for a fact this witch bottle pissed off my ancesters because a day later, I sat down in my apartment and I felt something from above send and aimed at my head and I felt numbness and mild inflamation on my face and rest of my head. Since then, my head felt empty like my psychic ability or senses are gone. Also, I slept on the bathtub to avoid the bugs in my apartment...well when I woke up, my right arm was getting numb and later on that day, my legs and pelvis got heavy. I went to a Usui Reiki healer that day and he relieved the discomfort a bit and I self-healed with Reiki on my own. I am not sure if it means 1 of my ancesters attached itself to my body again or not. So I put out an offering on May 19 and put the bowl of fruits on the bathroom floor with a fragrance candle and incense and I told them how I felt in a letter that I read 3 times. The fragrance candle of banana nut bread finished burning and I noticed light black streaks on the top half of the rim and 2 thumb size of black soot on the top side and the grapefruit that was closest to the candle has black soot. Not sure what it meant if they ate the bowl of fruits or not and if they chilled out. But I am gonna get a yes or no reading from a rootworker soon. Please tell me what do you all think? I heard that the Talisman Protection piece is the best. Can't wait to get it. I sent my money order off today. I also placed my order for 13 day herb bath today. Ran out a week ago. Can't wait to get that also. Its the best also. Thanks forum. I agree with you blessebythebest. I don' know much but thanks. I actually got the supplies and advce from the AIRR. Just following orders. Enjoy your night. Can you tell me if there is a special pray or ritual for the van van bath? 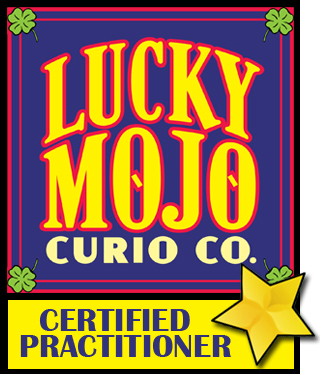 Listen to the Lucky Mojo Hoodoo Rootwork Hour today-- even if you were there. There was some great advice given including Psalms and product recommendation. Everytime, I succeed in something, and when people sees results or learn about what I'm doing, I've always fail. It's too much! I would appreciate any advice or suggestions. Hope some of this can give you a hand.